An atmospheric test specific to mold detection has been conducted. 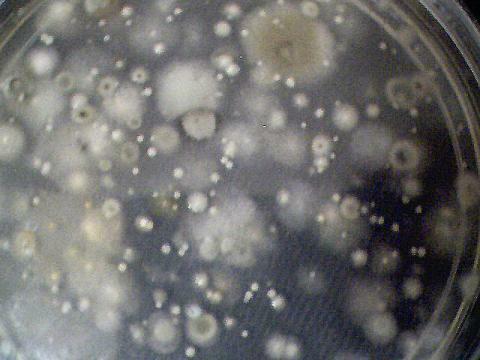 The results appear to indicate a sufficient cause for concern, as a large number of colonies of many species of mold have evolved during the incubation period. The test has been conducted in a dry high desert environment during a period of extended low moisture. Exposure time for the petri dish was one hour. The count of individual colonies easily surpasses 100+ and there appear to be at least 6 different species. Three of these species are shown under higher magnification below. 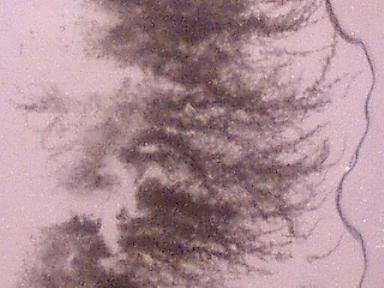 It is hoped that those knowledgeable in mycology will assist in species identification. There is a clear and direct association in the literature between the abundance of mold and respiratory, allergic and asthmatic conditions. 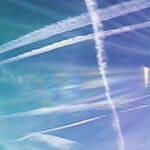 Citizens may wish to assess the health implications of these findings, as well as the documented increase that has occurred in the ailments above. It is hoped that additional testing will now begin by citizens in various locations, indoors and outdoors, to assess the extent and nature of this environmental condition. It is not yet known whether this test is representative of the general state of affairs. 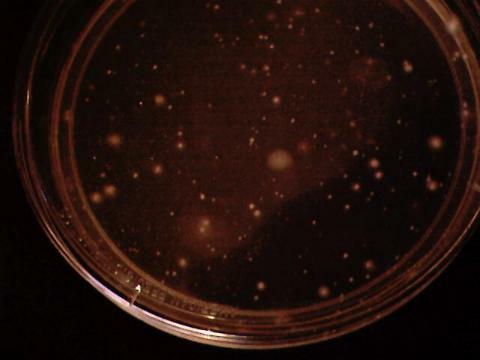 Testing kits for mold detection are readily and inexpensively available, and further professional lab testing can be accomplished with reasonably modest means. The particular test kit used for this sampling is manufactured by Pro-Lab, Weston FL 33326. These testing kits are now available for approximately $10 in major home construction supply stores, and the website reference is provided as www.prolabinc.com (1.800.427.0550). Readers may wish to review the interpretation of a similar test product at the following site of Bio Chemical Industries (http://www.biochem-ind.com/p-22.html). Although the particular examples cited refer to air-conditioning samples, the results of the test shown on this page would also suggest a sufficient case for concern. The results of this test would clearly fall into an unacceptable category if the indoor test provides a suitable reference frame for initial investigations. It is of interest to study the variation of test results and the corresponding health interpretation for each result. 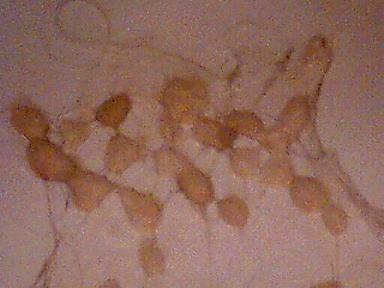 Septate hyphae are visible under higher magnification. 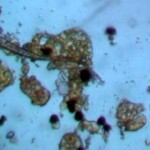 Conidia are visible under higher magnification. 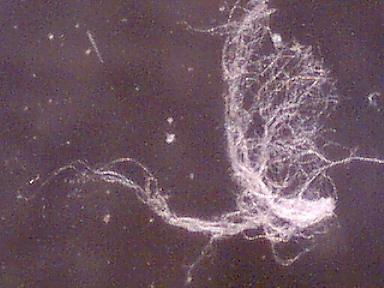 Aspergillus niger under consideration for identification. 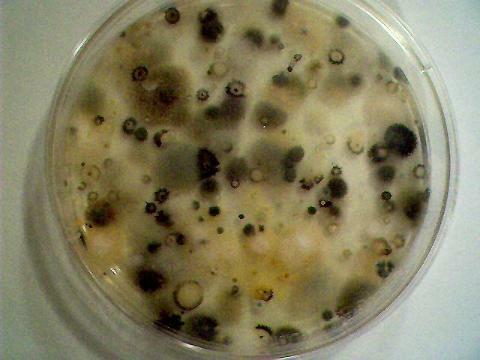 The variety of species and coloration of colonies appears to indicate that the major groups of mold types, i.e., Aspergillus, Penicillum, Cladosporium and Rhizopus, are represented. 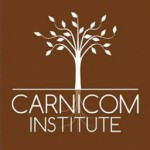 Those knowledgeable in mycology are requested to offer their expertise in this matter.